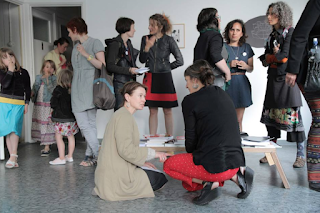 Cultural ReProducers is thrilled to join forces with Extended Practice, a new project merging professional skillsharing, exhibitions, and programming with on-site childcare for artist-mothers organized by Angela Lopez and Sara Holwerda. The event series, supported by the Chicago Department of Cultural Affairs, picks up where CR's Childcare-supported series left off, and features on-site childcare, exhibitions and screenings of recent work by mother-artists, and professional practices events with networking lunches for participants. Find out more about the project at ExtendedPractice.com, and mark your calendars. On September 17th, artist and Cultural ReProducers organizer Christa Donner will lead an idea-generating conversation and strategy-building workshop on 'making it work' as a parent and artist. Participants will explore existing artist-led initiatives that address the challenges of artist-parenthood, and will reflect on their own experiences with balancing art-making and child-rearing. 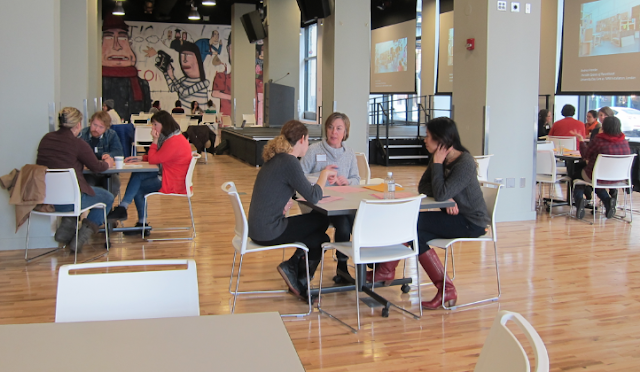 Through individual and collaborative activities, participants will identify key needs and desires of artists parents and will develop new models for creating a more sustainable artistic life in Chicago. Space is extremely limited, so reserve a spot for yourself and your kids right here. An intergenerational screening of animated works by filmmakers and artists who are mothers. Bring the kids! Are you an animator and a mother? Extended Practice is Accepting Submissions until September 16th! 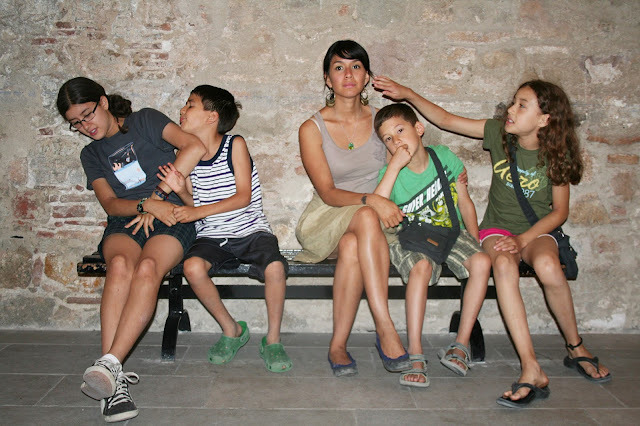 Artist Selina Trepp will give an artist talk and lead a discussion about how she empowers herself as a mother and artist. She will discuss her multi-disciplinary art practice, and will go into detail about how parenthood has affected her artistic production. Trepp will explain how she navigates logistics, politics, and money in her practice, and her interactions with institutions. Following the talk, participants are invited to a networking lunch - and brainstorming session - guided by founders of Extended Practice, Sara Holwerda and Angela Lopez. Afterwards all ages can enjoy a live performance by SPECTRALINA, the collaborative audio-visual performance project of artists, musicians and parents Dan Bitney and Selina Trepp. Working with an improvisational structure, Spectralina combines singing, percussion, electronics and real-time video processing. Together, Bitney and Trepp create an engaging image and sound relationships in their performances, in which projected animation and improvised sounds come together as visual music. At the second of two interconnected events organized with artist Wisdom Baty, we will celebrate the creative work of mothers of color. Everyone is welcome to join us for this free, one-night exhibition and sharing: families and extended support networks of friends, fans and supporters. Mothers - and children - are invited to share and discuss their work at this informal, intergenerational event. A rotating exhibition and weekly meet up featuring work by artists who are new moms. 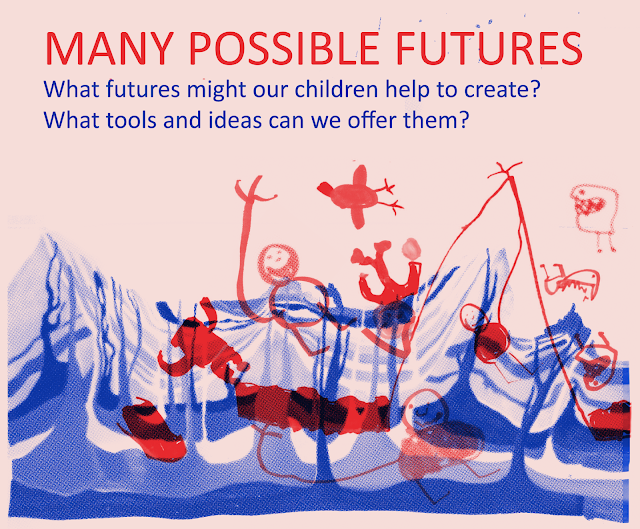 What futures might our children help to create, and what tools or ideas can we offer them as a starting point? How will youthful vision expand our own sense of the possible? In conversation with like-minded collaboratives Temporary Services, Compound Yellow, and The Mothernists, Cultural ReProducers presents Many Possible Futures, a duo of generative workshops exploring the intersections between our roles as artists making in the midst of social, environmental, and political unrest, and as parents mindfully raising the next generation. 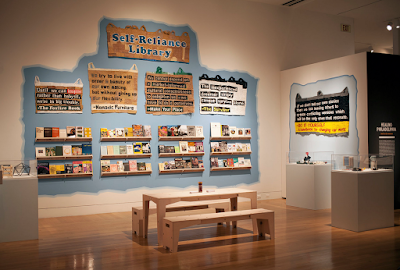 Through informal writing, drawing, and conversation, we'll generate ideas that will become part of a collective archive and a small-press zine, published by Temporary Services, as part of their Self-Reliance Library. If you're unable to attend one of these but this idea resonates, please drop us a line - there may be other ways to participate from afar. Created in conjunction with Temporary Services' Self-Reliance School at Compound Yellow, this workshop is designed for caregivers, artists, educators, and their children. Adults will work in one area while kids age 4-7 work on parallel activities in a nearby room, before regrouping for shared conversation. If you want to participate but have kids outside this age range, let us know and we'll work out a plan. Email us at culturalreproducers (at) gmail.com. The Mothernists II: Who Cares for the Future? We're looking forward to expanding this conversation with an international convergence of artist-activist-mothers, as part of the conference The Mothernists II: Who Cares for the Future? . 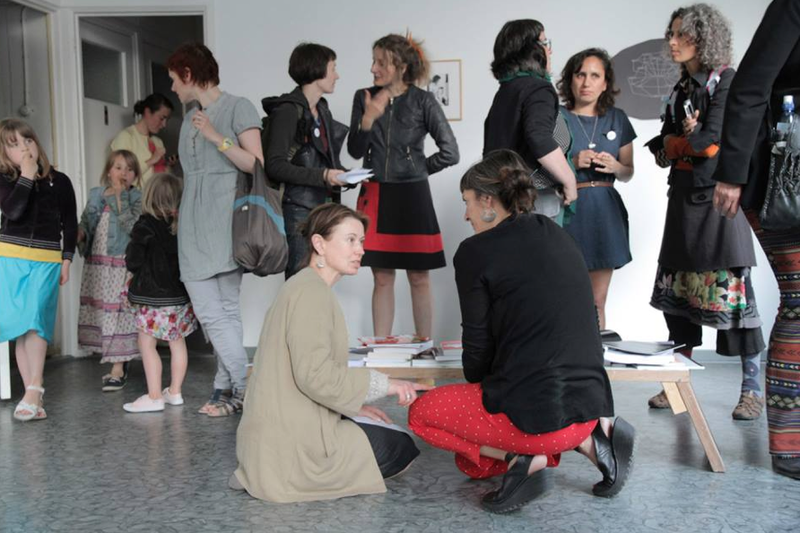 The meeting is the brainchild of Deirdre M. Donoghue (m/othervoices foundation for art, research, theory, dialogue & community involvement) and Lise Haller Baggesen (Mothernism) and combines their two long-running projects concerning artistic and academic research into maternal (aest)ethics. For those who can't make it, you can expect our report of the conference once we've recovered from jet lag, with links to video and presentations as those become available.